Malta has always had strong links with Britain and has long been a holiday favourite with UK residents due to its favourable exchange rate fantastic climate and short flying time. Malta has also become a popular destination for many people from Britain who are planning to have medical treatment abroad. Medical treatments in Malta range from cosmetic surgery to orthopaedic treatments to heart surgery. If you are considering some form of surgery abroad then Malta is an ideal destination. Private medical treatments in Malta will be around 30% to 50% less expensive than you would pay for the same treatments in the UK. The hospital and private clinic facilities are first class and the professionalism of the staff is second to none. For many people the chance to combine some form of medical treatment along with a holiday on the island of Malta is a winning combination. You can expect the cost of medical treatments in Malta to be around 30% to 50% cheaper than you would pay in the UK. For example a full face and neck lift with cosmetic surgery to four eyelids will be around £4000, but this will include accommodation for seven nights. You can of course arrange your own accommodation arrangements, which will provide some reduction in the overall price. Travel costs to Malta do vary; most medical service providers will usually quote a return flight of around £150 to £300. However, if you are arranging your own medical holiday abroad you can book flights for as little as £40 each way if you book in advance. There are many frequent, low cost flights available to Malta from most major British airports. To find the best flights compare the costs and remember, booking in advance will get you cheaper seats. Also flying outside peak period times should guarantee you cheaper flight costs. All surgeons in Malta are trained to a very high standard; many are trained in Britain and then practice in Malta. Cosmetic surgeons in Malta undertake years of rigorous training before qualifying. The training is similar to surgeons in the UK; five years of training in medicine, four years of general surgical training and a further six years of plastic surgery study and training. You should be able to check your surgeon’s credentials at the Maltese Medical Council and the Association of Surgeons of Malta. Many medical service providers will be able to arrange a full medical treatment package in Malta. This will include pre medical tests, surgery, accommodation and transport. Valletta is the capital city and there are many private clinics and hospitals situated in this area. Malta is an ideal location for a recuperative holiday; there are many little villages with excellent beaches and the weather is fantastic year round. Malta has a huge British ex pat community so there should be no language problems. Your medical service provider should be able to arrange all transportation from the airport just outside of Valletta to your clinic or choice of accommodation. If you are choosing to stay in your clinic or hospital after your treatment then you should be guaranteed first class facilities. All private patients will have private rooms that are comparable to hotel rooms. You should have your own telephone, television, air conditioning and nurse should be on call at all times. 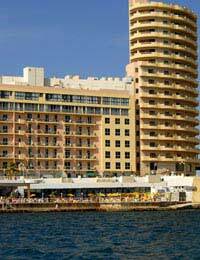 If you choose not to stay at the hospital there is a wide variety of hotels and holiday accommodation available in Malta with prices to suit most budgets. Hospitals and clinics in Malta have first class medical facilities with some of the most up to date technology in Europe. The staff and the people of Malta are well regarded for their professionalism and friendliness. Choosing to have medical treatments in Malta should tick most of your boxes when it comes to arranging your own medical surgery abroad package. Friendly and professional staff, low cost, high quality treatments, and short flying time from Britain. If you have thoroughly researched your medical options you should find Malta near the top of your list for medical destinations abroad.